... At the Carlton Woods! 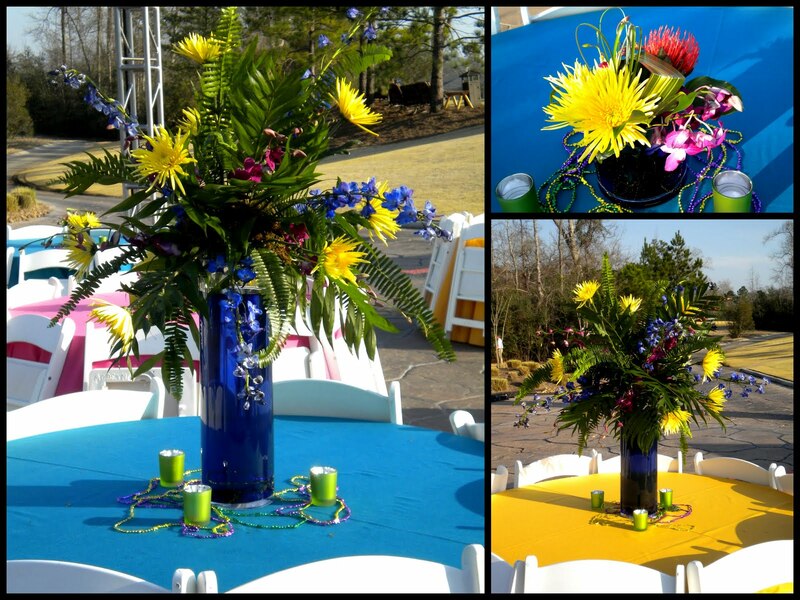 The month of February saw many fabulous events at The Carlton Woods. Starting off with their wonderful Valentine's Day dinner for the lovers in the area. 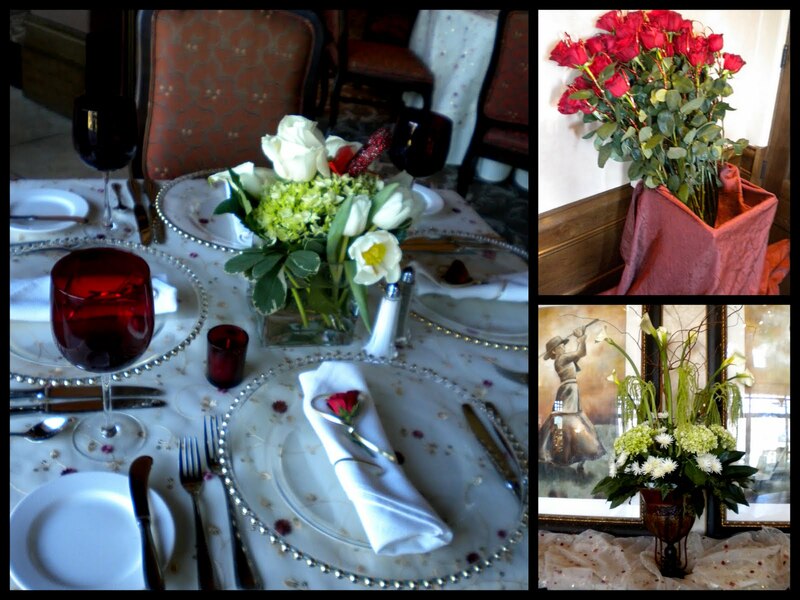 We decorated the club house with beautiful arrangements in all white and green with accents of red. 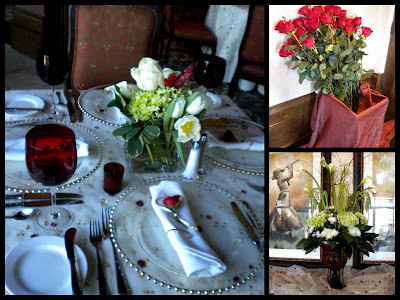 The arrangements were a mix of beautiful tulips, hydrangea and roses. But a week before Valentine's Day the Carlton Woods featured some of the new Ferrari models, and boy were they stunning! 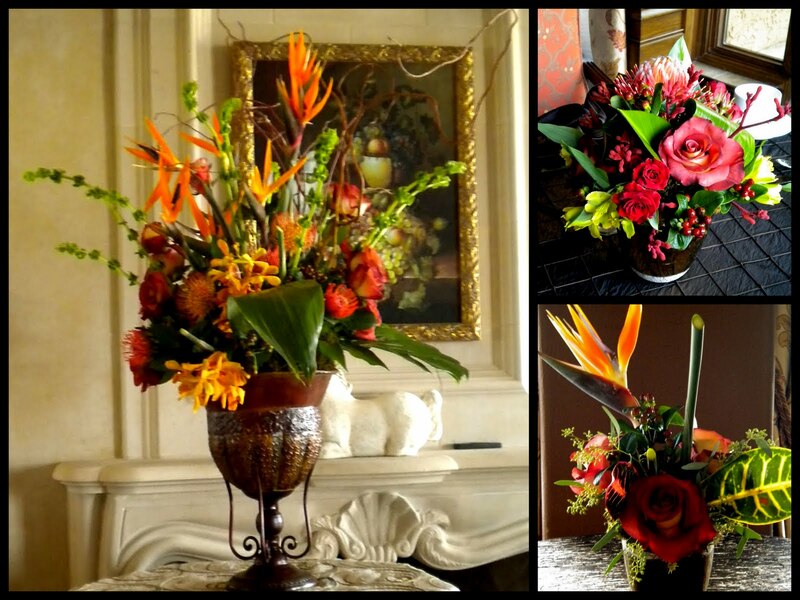 So of course we had to decorate the clubhouse with gorgeous masculine arrangements in rich oranges, reds and yellows. It's always fun to use a few tropicals for great shape with birds of paradise, mocara orchids, and pincushion protea. At the end of February the Carlton Woods held the AJGA tournament at the Fazio golf course, and that night they celebrated with a fabulous carnival. The tables had gorgeous arrangements with bold color that mimicked a tropical paradise with blue delphinium, purple orchids, and yellow spiders. But the show stopper for the carnival was the fabulous tropical tree of flowers with a focal paved area of flowers at it's base. 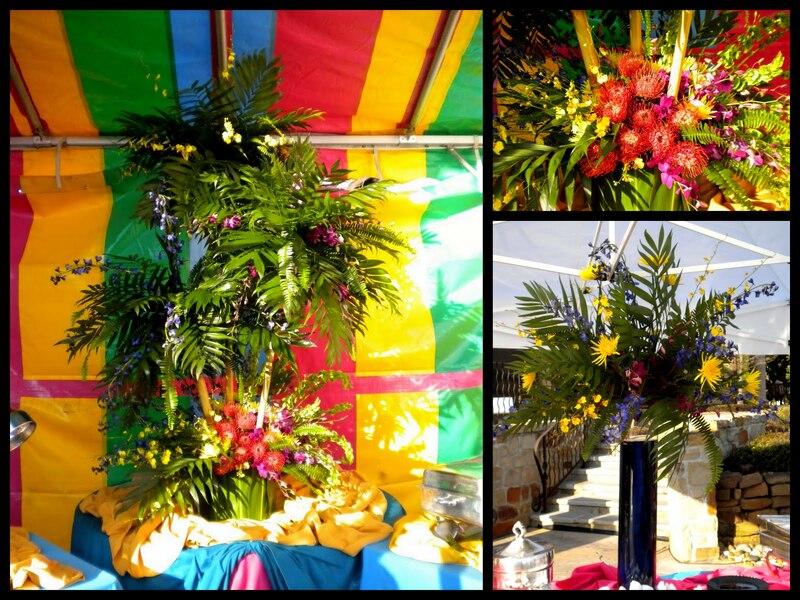 Vivid orange protea, yellow oncidium orchids, blue delphinium, purple dendrobium orchids, bells of Ireland, yellow spider mums and mixed greens very a lively combination for this celebration!